CALEA, A Route to Agency Operational Success | CALEA® | The Commission on Accreditation for Law Enforcement Agencies, Inc. 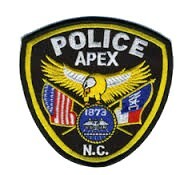 The Town of Apex is located west of Raleigh, North Carolina and was recognized as the Number 1 Best Place to Live in America by CNN/Money Magazine, 3rd Best Place to Move to by Forbes.com, 7th Safest Suburb in America by Movoto.com and the 4th Safest City in North Carolina by Safewise.com. The Town of Apex is a community that hosts many special events throughout the year (Peak Fest, Peak City Pig Fest, Jazz Festival and Christmas Parade, to name a few). These events take place within the historic downtown business district and span a several block area. Furthermore, these events cause many potential obstacles and challenges, such as event planning, pedestrian and traffic control and public safety and welfare for the community. Ensuring public safety and police preparedness are key components of operational readiness and paramount for a successful event. CALEA Standard 46.2.7 encourages agencies to develop an overall plan for each specific event and recommends designating a single person or position, as supervisor and coordinator for a specific event. Additionally, the commentary of the standard suggest addressing areas such as ingress and egress of vehicles and pedestrian traffic, parking, spectator control, public transportation, rotation and relief of personnel assigned, news media coverage, alternate traffic routes, temporary traffic controls, emergency vehicle access, use of special operations personnel, logistical requirements and coordination inside and outside the agency. Using the Special Event Planning standard as a guide, agency staff are able to develop and implement a critical blueprint that ensures our special events planning and execution support our community and the event. The standard also assists in keeping the town safe by standardizing the agency’s operational readiness. Not only has the agency supported the suggestions outlined in the commentary section of the standard, but we have also enhanced the Emergency Operations Center (EOC) by installing a Public Safety Camera System. This system now offers our department “real-time” area coverage and monitoring of strategic locations during the event. As a result, our agency maintains up-to-the-minute video coverage, which allows for quickly dispatching and providing updated information to responding emergency personnel with an end result of enhancing public safety. An additional benefit the community receives from compliance with CALEA Standard 46.2.7 is to ensure our department is fully prepared to implement appropriate actions in the event of a critical incident. Fortunately, as a community with limited critical incidents, this standard, as well as other standards addressed in Chapter 46 (Critical Incidents, Special Events and Homeland Security), enables our agency to have an effective, executable, and proven procedures should an incident occur. The Apex Police Department is better able, now more than ever before, to handle a variety and multitude of issues because of the successful compliance with CALEA standards. Our time-proven policies and procedures provide clarity and accountability at all levels in our police organization. As a CALEA Accreditation Manager, I would personally encourage your organization to become engaged in CALEA and to take the opportunity to work toward and subscribe to CALEA’s best practices by standardizing your department’s policies and procedures. From our own agency’s experience, it will improve your operations, procedures and advance your agency forward. The support from CALEA and other accredited agencies will also help you transition through the process and affect positive departmental and organizational changes and results. In addition, the CALEA process ensures your agency remains current and relative to today’s policing. CALEA has helped us create a system to maintain a pulse within our department’s operations and ensures that our components remain current in its best practices, policies and procedures and provides for continuous improvement throughout our agency.